Junior Pirate Ship The “Junior” Pirate Ship has come in and dropped anchor ! 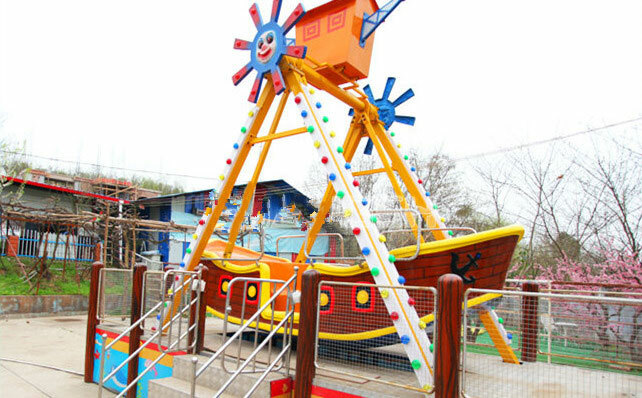 This beautiful amusement ride consist of an open seated ship suspended from a giant pendulum, taking riders on a wonderful voyage, as the vessel swings back and forth, soaring high above. Seating up to 16 children and 2 adults. Power is provided with the rental; To se up it requires 25 ft. in length x 18 ft. wide x 24 ft. height. 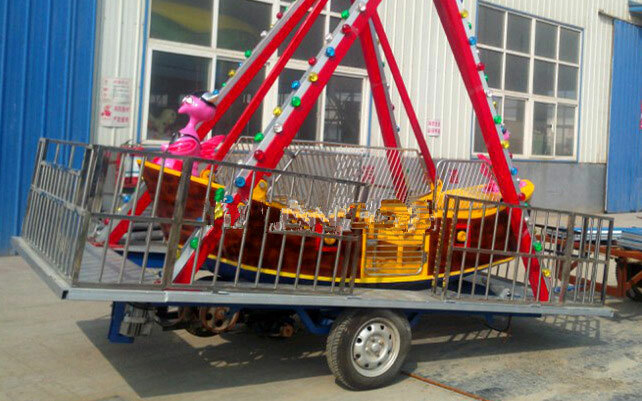 Noadays the portable amusement rides are very popular in foreign markets, people can move the equipments easily and conveniently, best for your business. 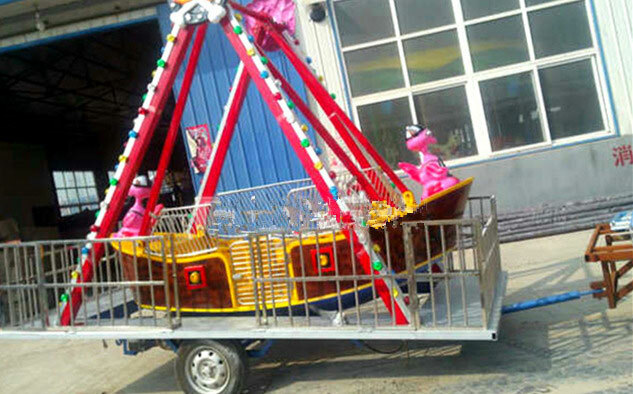 These kinds of ride can be used on plaza, funfair playgrounds or park. 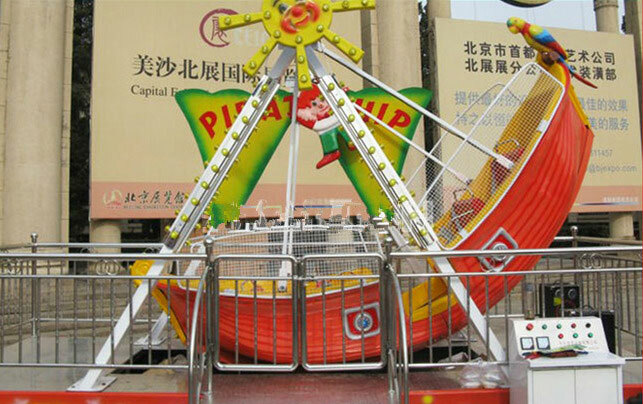 As one professional amusement rides, we can design and produce the portable amusement rides as your requirements !